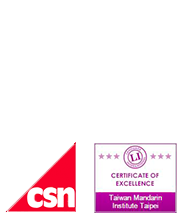 Keep up to date with all the special offers currently running at Taiwan Mandarin Institute. Find out what our current and past students experiences with our courses have been like. Explore the benefits of a partnership with TMI Chinese and become our partner now. We are always on the lookout for talented individuals to join our team. See our current vacancies.